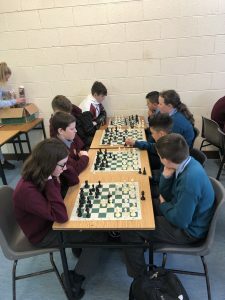 St. Caimin’s, Shannon, St. Joseph’s, Tulla and St. Anne’s, Killaloe came together with 10 teams to play chess at St. Anne’s, Killaloe on Tuesday 9th April. 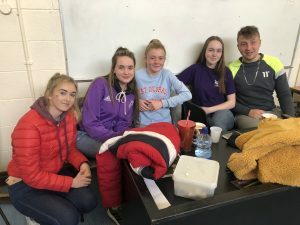 Transition Years Students welcomed the teams and kept the scores. 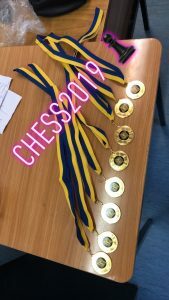 Pawel Luber ensured the tournament ran smoothly with all chess matches played under his watchful eye. 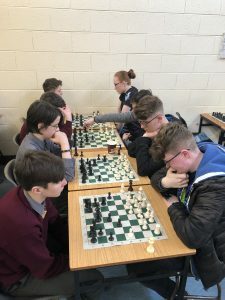 There were some very close contests between players with the tension building towards a great final contest. 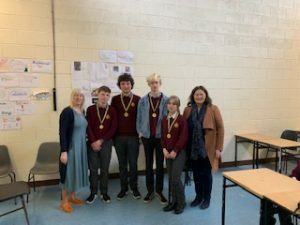 St. Caimin’s won the Junior competition and St. Joseph’s won the Senior Competition. Well done to all who participated. Ms. McDonnell, Ms. O’Sullivan and Ms. Corbett supervised the event and thank you to all teachers for giving their time to run such an enjoyable event. 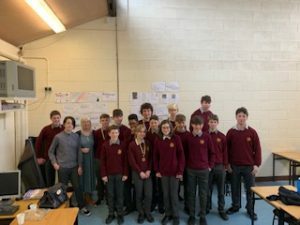 By killaloeteacher in Other on April 12, 2019 .